Go back 50 years, to 1968, and the greatest heavyweight champion boxer in the sport’s long history Muhammad Ali, was barred from boxing; unable to even earn a living. “I am not allowed to work to earn a living in America, and I’m not allowed to leave the country,” Ali said in explaining his hopelessly unjust plight. But though he couldn’t box any longer (for almost four long, peak years) Ali sure had plenty of fight in him. And Ali stuck it out, fighting for his cause, for his beliefs, and fighting against a savage war America might well have never got involved in. It was the height of America’s most unpopular (some would say needless) war, and Ali, having been ordered to fight in Vietnam, refused and was almost universally vilified as a result. Called a traitor amongst other things, Ali had been transformed from a jovial, entertaining star fighter to a cowardly non-fighter – in the opinion of those he had so incensed by way of his actions anyway. It would be years – three years and seven months – before Ali would be exonerated and referred to by his real name. Ali mark-one last fought in Madison Square Garden in New York, against a capable but at the same time over-matched (which fighter wasn’t at this time, against the near-peak, truly untouchable Ali?) Zora Folley. A relatively straightforward stoppage win later, Ali had seen his final victim go down at the hands of his blurring, powerful fists. Or so he fought. It wasn’t until the Vietnam war (something great US President John F. Kennedy, would have, had he lived, spared his country from) became a wholly unpopular travesty that public opinion turned in the unbeaten ex-champ’s favor. Finally, in late 1970, after having spent over three and-a-half-years out of the ring (basically a lifetime in the short career of a prizefighter) Ali was allowed to try and take over where he’d left off. But Ali, now aged almost 29 (still young, especially by today’s boxing standards) and having gained a substantial amount of weight and of course a ton of ring-rust – Ali’s lightening fast hands and feet never fully returning post-exile – was a different fighter. 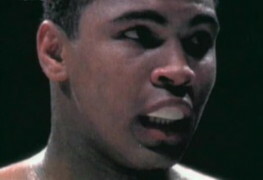 Now hittable, prone to fatigue and just a tad slower, Ali had to dig deeper to win fights. Maybe Ali’s boxing legend would not today be as celebrated if he had never faced true adversity, but it’s also possible (or likely) that “The Greatest” would never have lost a single fight had the US government not put Ali through what it forced him to endure a half century ago. Ali the boxer lost a whole lot due to his enforced exile, yet during this time Ali the fighter showed more courage and defiance than ever. And those that were there will never, ever forget it.